American-style football with helmets and pads has only recently caught on in Israel. But "football" in Israel after 1948 and in British Mandate Palestine prior to 1948 is "soccer." 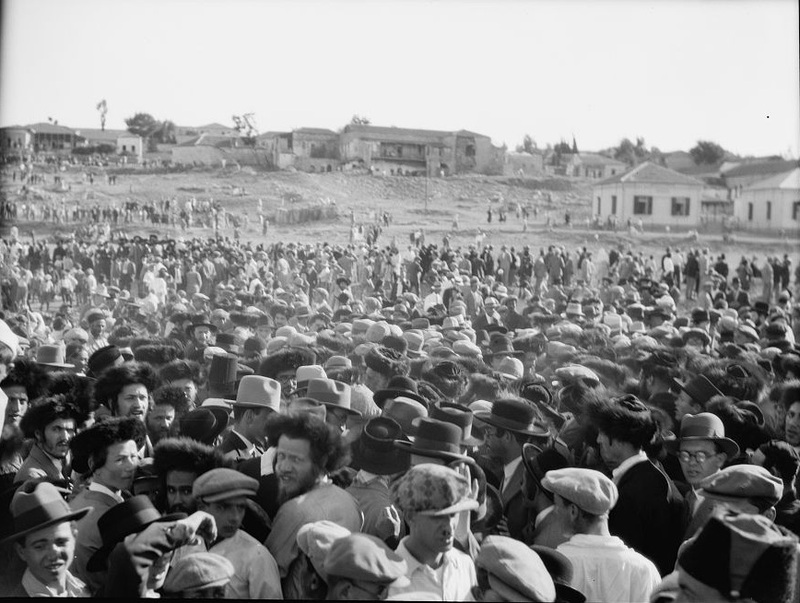 before a "tensely interested" crowd. 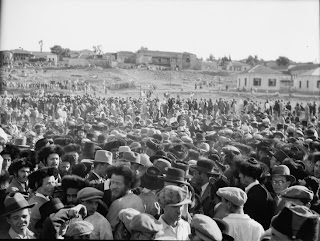 In Jerusalem, however, the field was located near the ultra-Orthodox neighborhood of Meah Shearim, and games on the Sabbath led to disturbances, as documented by the American Colony Photographers' pictures and posted in an earlier feature. 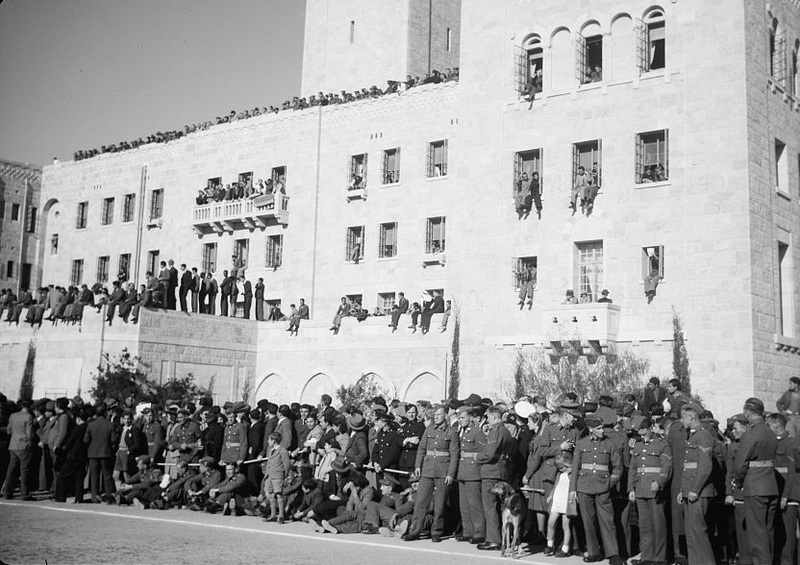 During World War II the various military forces based in region -- British, French, Greek -- played on the Jerusalem YMCA field, also preserved in the pictures from the Library of Congress' collection. 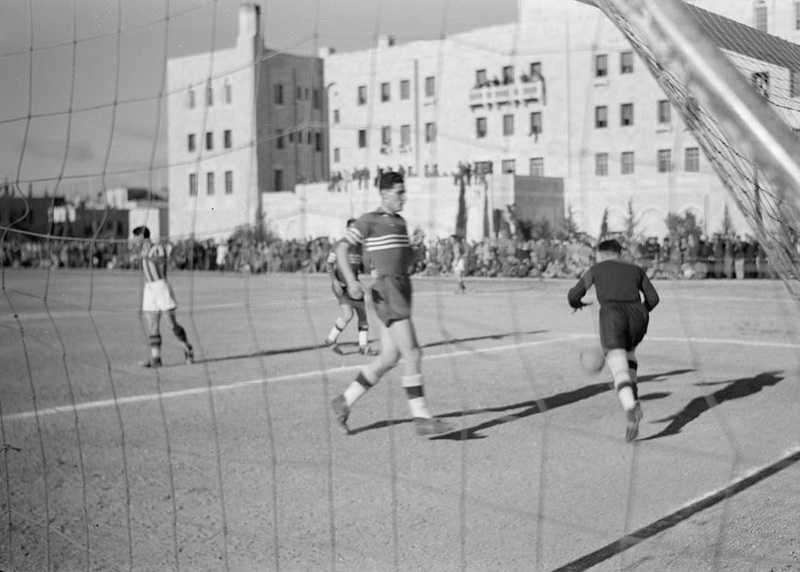 The first soccer club was founded in 1906 and called Maccabi Rishon LeTziyon-Yaffo. Maccabo Hashmonai Jerusalem followed in 1911, Petah Tikvah in 1912, Haifa in 1913 as well as the Herzliyah Gymnasia and the Mikveh Yisrael teams. 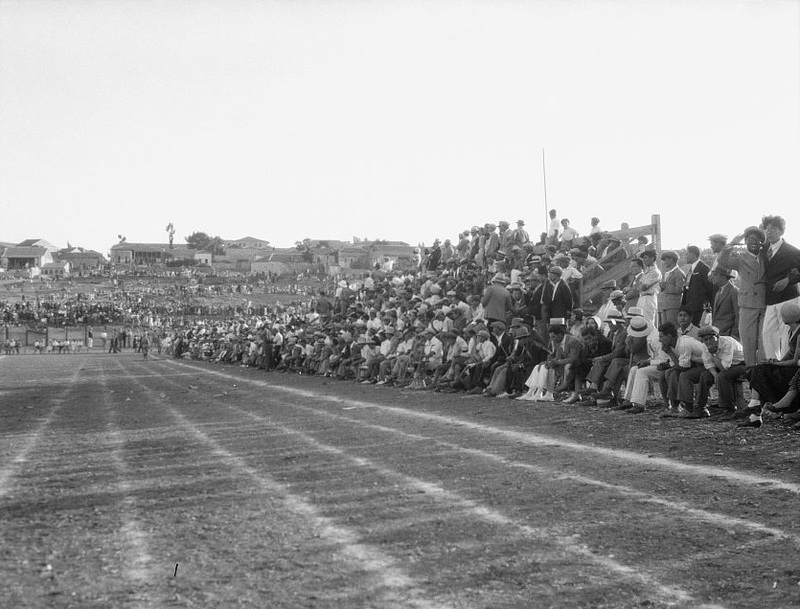 organized teams preceded World War I with football (soccer) teams playing in Jaffa, Jerusalem and other moshavot.